New technologies are showing their worth in many areas of healthcare, such as providing education for doctors and patients, helping to explain what it is like to live with a condition, or providing distractions that lower feelings of pain. Hayden Allen-Vercoe considers the future for VR and AR applications. The healthcare industry is changing – for the better – as virtual realities (VRs) start to show how they can transform the lives of both medical professionals and patients. These new and promising digital technologies  can enhance  medical  procedures and provide education that  will  improve patient outcomes. However,  there are challenges to overcome  for the transformation to be fully realised. The  augmented reality (AR) and VR markets are expected to surge over the next five years, reaching a  value of  over £45 billion worldwide. 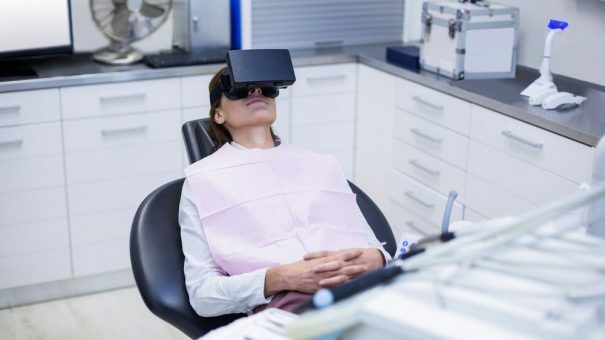 While gaming is still the number one use of VR, its role in healthcare  is solidifying, with Global Industry Analysts predicting that the worldwide market for it in healthcare will reach $3.8 billion by 2020. In April 2016, an operation to remove cancerous tissue from a patient’s bowel was performed for the first time using a VR camera at the Royal London hospital. The operation was viewed through the ‘VR in OR’ app using a VR headset paired with a smartphone, or through a live feed online. This approach can transform medical education. Rather than a few students straining over a surgeon’s shoulders to watch a procedure, numerous medical trainees can  ‘live’  the experience. In addition, charities like the UK National Autistic Society  are using VR  film  to encapsulate what it is like to live with the condition. The campaign ‘The Migraine Experience’ shows the family and friends of those who experience  migraine what it is like through using immersive VR. Such uses are only going to increase as this technology opens the door to superior  levels of education and understanding. VR is also used to help people overcome phobias, as well as benefitting children with autism by simulating their anxiety triggers and helping them learn to cope. Futhermore, VR has a place in patient treatment and relief. An example of this is  LOROS hospice in Leicester,  which  commissioned a VR film of a walk in a park to provide respite to terminally-ill patients. As AR works with the mobile technology we carry with us every day, it potentially has an even stronger future. Just look at the international success of the game  Pokemon Go, to see  how it has positively  impacted  everyday lives, both mentally and physically. The healthcare industry can learn from this. AR differs from VR in that  users  do not  lose touch with reality and it provides  users with interactive information through the live camera view on their mobile or tablet device. These powers are particularly pertinent to healthcare. One example of where AR is helping patients is in management of eye conditions. With the help of  the EyeDecide app,  doctors can show a simulation of a patient with a specific condition, such as a cataract. This enables patients  and carers  to better understand the problem and, ultimately, improves how they manage its treatment. If the investment costs  of these technologies seem high, consider 360-degree video, made available by Facebook and YouTube or Google Cardboard. Take inspiration from doctors in Miami who helped a baby born with only one lung and half a heart. By creating a VR model of the heart that could be viewed using Google Cardboard, they were able to  explore all the details they needed to perform surgery before reaching the operating room, making the surgery effective and reducing operating time. As VR technologies are quite new, there is not much research data to support claims about their value yet. Over the next three years, pharma and consumer healthcare brands will be more likely to invest in them as the benefits and data become available. Not all will yield immediate financial returns, but there will be new learnings and medical breakthroughs. Data are already appearing that support the use of VR as a distraction therapy for painful procedures – the SnowWorld simulation being one example, allowing severe burns victims to play games involving snow while their wound dressings are changed. In addition, organisations like NICE need to provide medical protocol guidelines. The current lack of legal guidance, coupled with the inability to deliver immediate financial returns, will prevent VR from becoming mainstream in the short term. What can pharma brands do now? For those companies watching from the sidelines, there are several things to consider. These new technologies are not likely to be an instant win in terms of financial ROI, but that’s not to say they won’t deliver in the long term. So, focus on identifying how they can revolutionise the brand in the market place. Is it through improved HCP training, or more about delivering direct treatment for patients? Where does the brand sit in the healthcare environment? Could it be used in GP surgeries? With new technology applications being launched all the time, those who do not consider how VR can work for them could get left behind. The  long-term future is bright. Just as the internet and social  media have transformed everyday lives and businesses, so, too, can VRs. With access to  superior, consistent, immersive training, GPs will reduce the time currently spent showing patients how to use medicines. Training apps will replace leaflets and presentations, helping  healthcare professionals better understand conditions and thereby provide better care advice, while patients themselves will be able to use the technology to assist with their own treatment. Later, the possibilities will expand as VR is combined with artificial intelligence, big data analytics and more computer capabilities. Ultimately, this new way of training, education and treatment will develop what started as a gaming trend into a new world of improved healthcare. 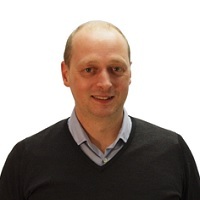 Hayden Allen-Vercoe  is Chief Operating Officer at digital specialists Orbital Media. He founded the company with business partner Peter Brady,  to use the latest technology and marketing strategies to connect brands with consumers. Currently they are working with Essex University  on a project using  Augmented Reality to deliver online advice for minor ailments. Read more on trends affecting the industry in pharmaphorum’s latest magazine, Deep Dive: Future Pharma.